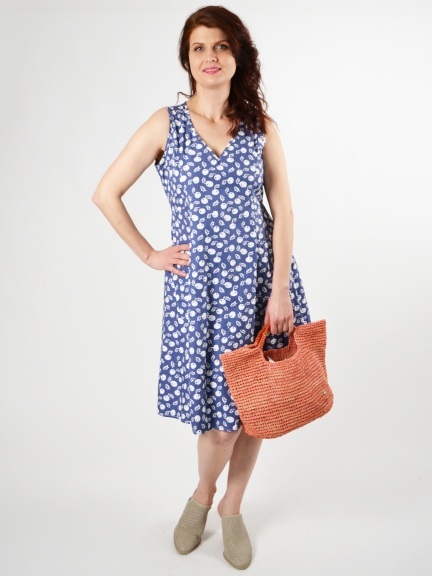 A knee-length tank dress in comfortable cotton with intersecting pattern features a soft A-line silhouette, narrow V-neckline and convenient patch pockets and back tie. White print on a subtle blue feature leaves, branches and persimmons. Made of 100% cotton. The color Persimmon is available in any out-of-stock size as a Special Order, estimated to ship on April 29th for orders placed today.